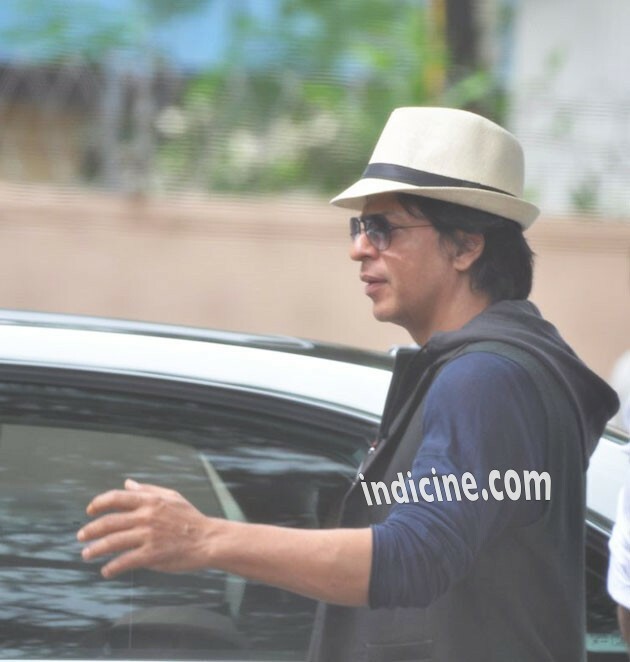 Interview with Shahrukh Khan: Chennai Express and more! If there is one film for which Shahrukh Khan has gone all out since the release of Ra. One, it is Chennai Express. Though the initial idea was to go slow on the promotion of the film, guess there was no stopping this train when it was set on the tracks. With the film all over the town, we catch the actor in our town as he talks from nineteen to the dozen about his big ticket outing. Pun intended. Q. After four back to back relatively intense/draining films – My Name Is Khan, RA. One, Don 2 and Jab Tak Hai Jaan – was the idea to do an unabashed fun film that made you pick Chennai Express? SRK: See, I do a couple of films a year. Attempt is always to do the ones which are different from what I may have done last year. I try to keep doing different things while in the parameters of commercial cinema. Yes, I have done a couple of intense films like My Name Is Khan, Don2 or for that matter even Ra. One by the virtue of being involved. However it wasn’t planned. Q. So how did it happen? SRK: After Rohit (Shetty) mentioned Angoor to me, which was funny with nice and cosy situations, he came up with this much larger than life film which required a bigger canvas. As a producer it excited me to make bigger film. At Red Chillies we make quality films with good production values. Chennai Express was exciting and fell into that part. For me as an actor to it was an opportunity to do something that I hadn’t done for some time. Q. It does remind of the classic Dilwale Dulhaniya Le Jayenge moment though. While there it was you who overpowered Kajol with your antics, guess an antithesis of that is happening in Chennai Express where Deepika is taking you for a ride, literally so, right? SRK: Yes, there is this moment in the film which is a motif of DDLJ. In fact, the train scene is not a copy of DDLJ, it is ‘supposed’ to be DDLJ. The film takes off from there when I put my hand out and pull Meena (Deepika) in. Aisa nahi hua hai ki by chance ek aisa scene daal diya jo same lag raha hai; we have actually shot it intentionally while keeping DDLJ in mind. When the story unfolds, it is a very important part of the film. We are not copying or recreating anything, it is meant to be this way only. Q. Talking about Deepika, how do you see her coming up from Om Shanti Om to Chennai Express? SRK: You know what, back then Farah (Khan) and I used to discuss that it was commendable for a newcomer like her to be playing this super-duper star of the 70s. We took a girl who no one knew at all and in gave her a role that required her to play a superstar; now that was saying something. In fact I remember a lot of people saying ki kyon yaar, take someone established. But then our idea was that people should not know her. She should be so wonderful that people say ki haan yaar, sattar ke dashak mein koyi ladki itni sundar ho sakti hai or agar hogi toh aisi hi hogi. Q. How has the reunion with her been after more than half a decade? SRK: Personally I am very close to her. She started her career with us so there is definitely some protectiveness in there; for me that won’t change. She is big today, yes, and I will be happy for her and sad for her. I will give her advice and that may be right or wrong, but it would always be genuine. I am happy to see her successful. Q. How do you see your success? SRK: I don’t know actually. I am not sure whether at the end of my career, whether I would be able to think and say that I have been successful or not. I have never claimed that I am Number One. If people say that then it is their game, it is their name. I have done what I have enjoyed in all these 22 years of being around. Today, sitting here in my big palatial house with big cars, world at my feet and cinema of my choice, do I think I am successful? If I think like that then I will die. A true Gentleman… an icon ..”!! Sulute to d most happening personality of bollywood…!!! Because of his spirit, I am fan of this man. At last srk movie have very good content,watched it today it’s absolute fantastic. I think he should have gone with the Angoor remake only.Rohit Shetty could have moulded it well and that story is bound to be good and get acceptance from audience (it was based on Shakespeare’s Comedy of Errors). They could have added glamour to it to make it “larger than life”. No doubt CE will be among the biggest successes of the year, still Angoor remake would have been a much better and more entertaining film comparatively. As usual SRK’s interviews are nice and he is frank.Thanks for publishing Indicine! Wow, who is Salman’s father? At home it is Salim, at the Boxoffice it is SRK! coz if salman had any thing in movies it was records. and not acting. but now that as well is taken over by Chennai express I mean SRK the king.